There is magic in Ireland. You can see in in the moss covered rocks, in the swirling mist that sweeps off mountains that loom up beside the road. You can see it in the gnarled lichen crusted trees. There are ancient energies simmering here, available to the poets, the seers, the sensitives, to those that open their hearts. For some reason, I feel like I have come home. That I was always here. 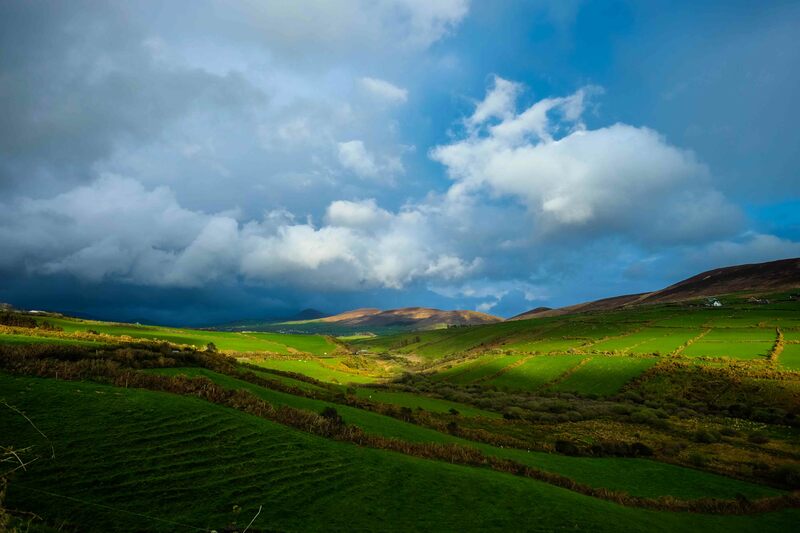 This entry was posted in Post Camino and tagged Celtic Camino, Dingle, The Ring of Kerry by Bill Bennett. Bookmark the permalink. That’s wonderful Julie. Yes, this is a very special place. I would love to do a long walk here. Really allow those energies to seep in. Hi Britta, how have you been taking the photos? With a camera or iPhone? If a camera, just take out the SD card and pop it into your computer. If you let me know what sort of camera you have, what media, what computer, and what image software, I can talk you through how to download then send etc. My long walk would be about 4 months. So 2 weeks trial run isn’t quite long enough, no!